Talk about a challenge. How do you reach the hardest to reach audience on the planet with a message they don’t believe? That was the task that the Colorado Department of Public Health and Environment presented to Inline and our partner agency SE2. With Colorado leading the nation in teen vaping, they wanted to educate kids about the hazards of vaping and prevent them from smoking. Kids are notoriously difficult consumers to reach with most forms of media. So, we took the message and placed it where the kids are: on their phones, in mobile game apps. 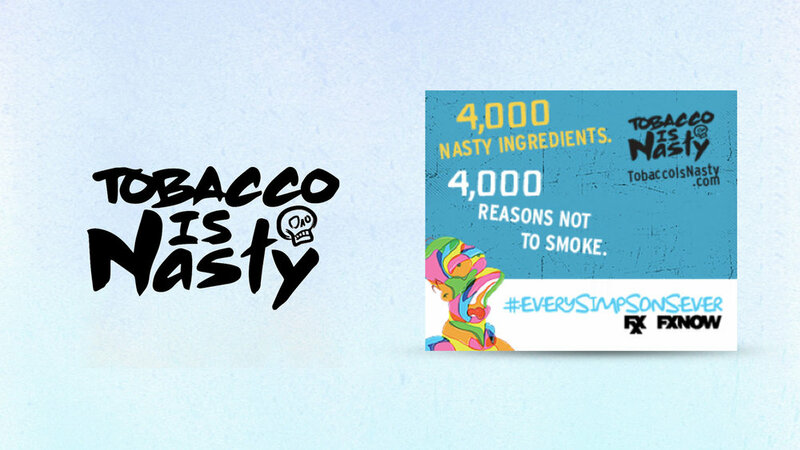 We used our digital chops and clout to get the “Tobacco is Nasty” campaign co-branded with the Simpsons and Fear of the Walking Dead. Next, we employed emotional targeting, in which “Tobacco is Nasty” became the hero by saving teens from frustrating moments in mobile games. The call-to-action drove kids to the campaign site where they could take a quiz and learn more about the hazards of tobacco. Inline’s digital optimization strategies cut the cost-per-click by 80%, thanks to the Simpsons, a few zombies and a deep understanding of how to reach a challenging audience.